Mt. 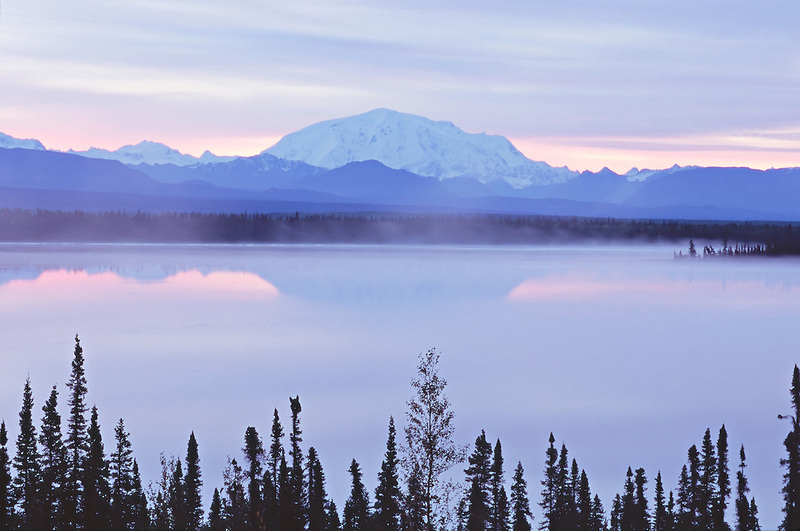 Wrangell with Willow Lake in the foreground at Wrangell-St. Elias National Park in Alaska. Fall. Morning.